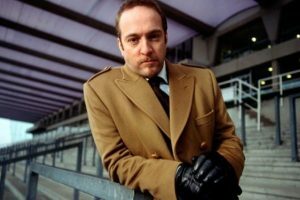 Derren Brown invents a system to beat the bookmakers and predict the outcome of 6 horse races, ultimately convincing a participant to place their life savings on one final race. In The System Derren exposed his ‘100 percent guaranteed method’ of winning on the races. Except he was exposed a well-known pyramid scam in which one person was guaranteed to win, but 7,000 – if you believe Derren – were set to lose. It’s all about probabilities and picking every combination. After the selected horse in the final race lost, the participant was convinced that she had lost all her borrowed money, Brown told her to look again at the betting slip in her hand. The ticket showed the winning horse’s name, meaning she kept her stake and received winnings of £13,000. Derren did not reveal how this was achieved. The System is available on Channel 4’s All 4 On Demand service.